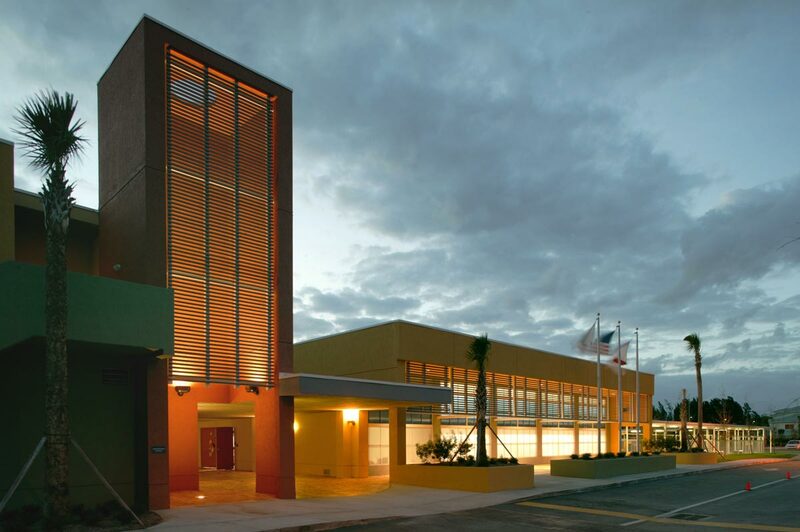 The JFK Charter School in Palm Beach County, Florida is a workplace-sponsored primary school for 550 children, K-5. 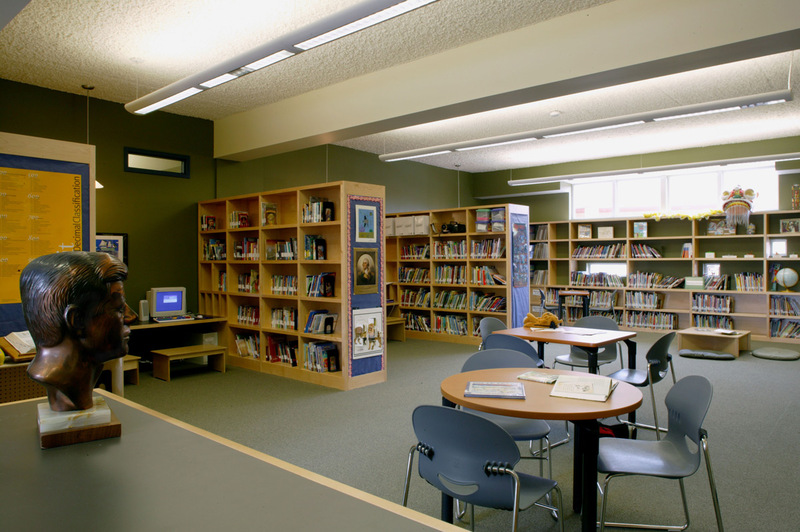 The school is designed to contain four smaller family groupings each having its own commons/dining area where various activities can take place. 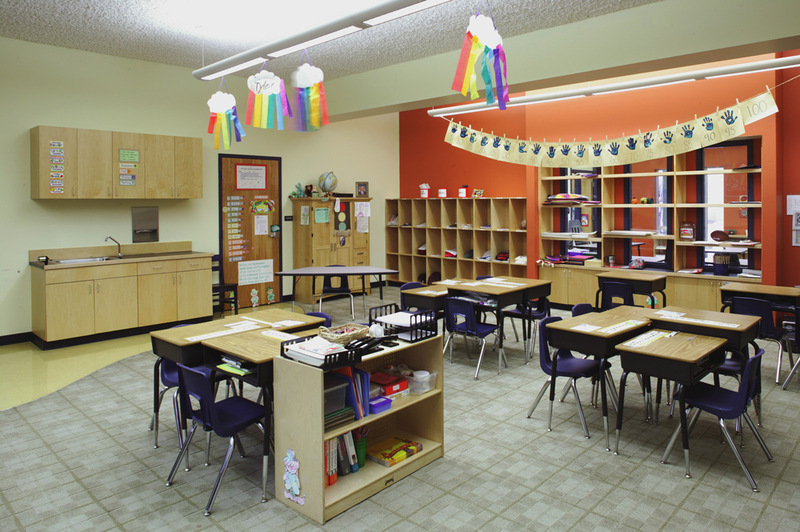 The classroom designs, which are organized around the common spaces, allow for program flexibility, project work, team building exercises, and interaction between adjacent classes. 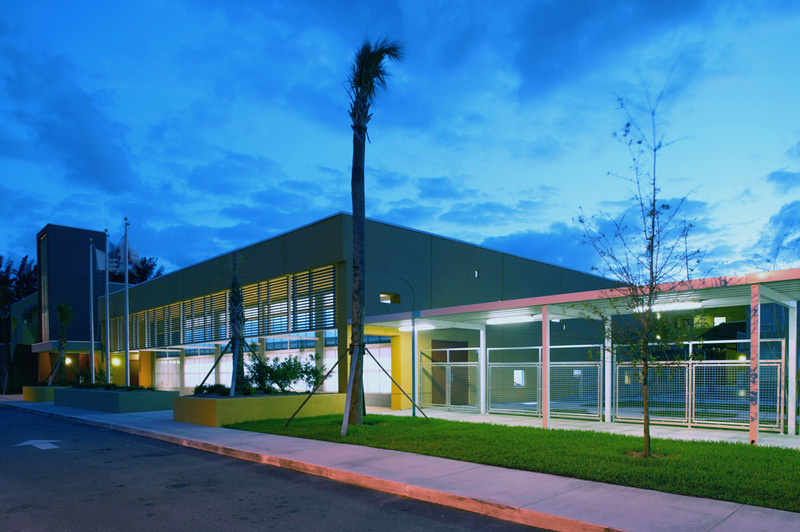 The school also contains a landscaped central courtyard and a large gym/multipurpose area where more dramatic functions are held. 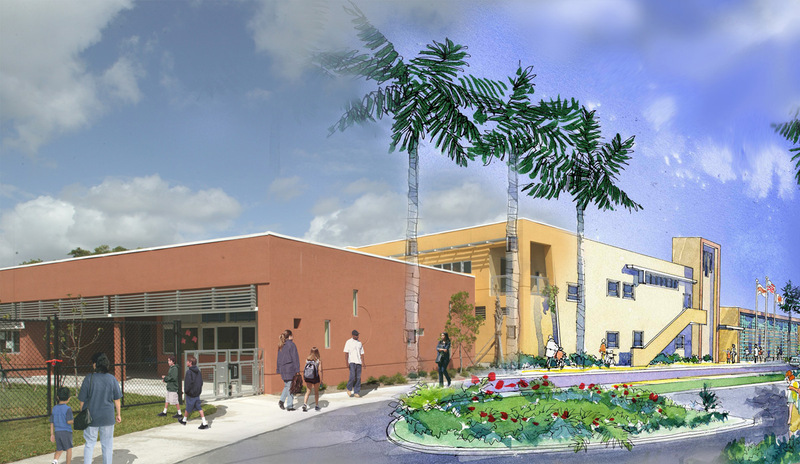 The school totals 45,000 square feet and is located on a fairly level site roughly one mile from the JFK Medical Center campus. studioMLA Architects was responsible for all design phases and collaborated with a local architect, Donaldson Group, for record drawings. 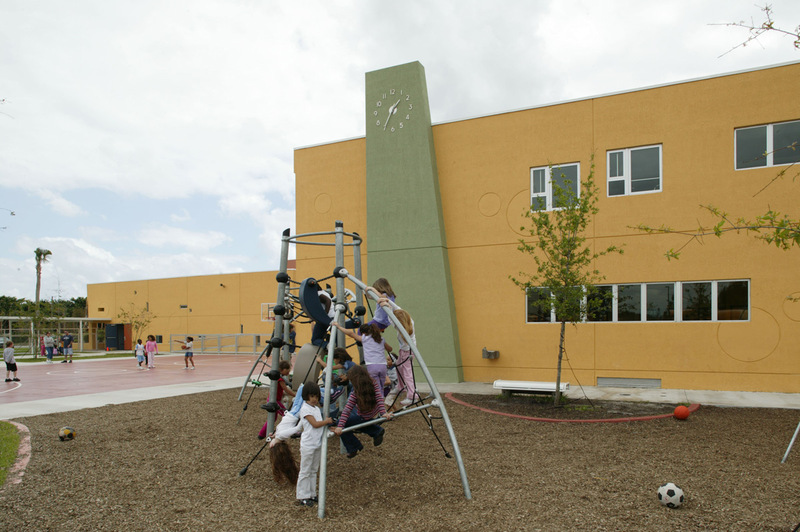 The construction and overall development was overseen by the construction department of Bright Horizons.